Pre Linux, I used Windows.. (too many years in the wilderness :) ... however there was a ray of sunshine in amongst all the general virus/re-install flack.. and that was Notepad++, a text Editor I really like(d). At some point, I started learning Hindi, and found that the Devanagari script really needs to be larger than the Latin script (used here)... Devanagari is by nature a "taller" script, with frills above, and below the main line, and has more detail. Here is an example of the Notepad++ presentation.. The two search terms that will be helpful are "font-locking" and "major mode". 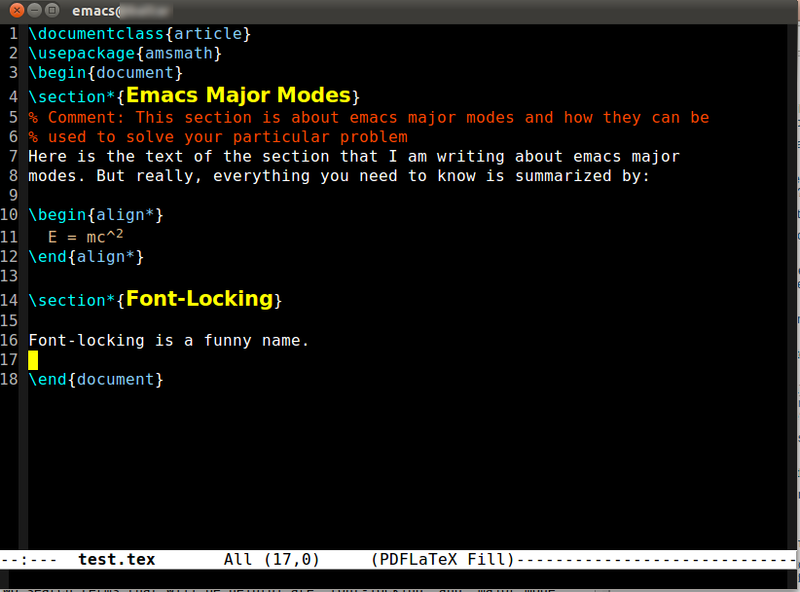 Essentially, to accomplish this in Emacs you would have to write your own major mode. Unfortunately, this basically amounts to you having to "fiddle and twiddle with syntax-highlighting", but on steroids. Since you really only need your mode to provide font locking, I would take a look at making a "Derived Mode" (see the relevant link above). Creating such a mode basically involves defining regular expressions that will match the various parts of the code you want highlighted in a certain way, and then assigning that either to one of the predefined font-lock faces or a custom face you would define. Not the answer you're looking for? Browse other questions tagged editors emacs fonts highlighting unicode or ask your own question. How can I get full Unicode font coverage for Gentoo Linux?